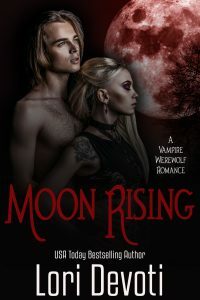 When I first decided to write a series for the then new Silhouette Nocturne line (changed to Harlequin Nocturne later), I knew I wanted it to revolve around shapeshifters, but I also didn’t want to go with werewolves. I love werewolves and have written a number of werewolf stories myself, but it was also an already saturated market. So I did some research and came up with hellhounds for my Nine Worlds series (originally Unbound series). I also, though, discovered that there were a number of hellhounds or demon dogs from a variety of cultures. I settled on Norse, adding in some wolf shapeshifters that I named after one particular wolf from Norse myth, Garm. Most of the demon dogs I found did not shapeshift, but, well, that was a bit of a requirement for my books. So that along with a few other things were tweaked. Scene from Unbound showing Risk in his canine form and Kara. The image of the “Black Dog” in D.J.Conway’s Magickal Mythical Mystical Beasts How to Invite Them into Your Life is what really inspired my hellhounds. If you’ve read Unbound or Wild Hunt, you’ll know that my hellhounds are big and furry. Pictured to the left is a drawing I had an artist do of how I envisioned Risk, the hero of Unbound, in his canine form. The Black Dog is from Celtic myth and found in Scotland and Ireland. In Conway’s telling, the Black Dog is “shaggy and as big as a calf” for some and others “no bigger than a Labrador.” I went with bigger for my hellhounds. The Black Dog is a bad omen, usually signaling an upcoming death, yours if you touch him. It also has the ability to “blast” someone if they speak to it or hit it. This “blast” won’t kill the person immediately, but it does cause a certain decline that will end in death. The Black Dog is frequently out for justice too, stalking the guilty to make them pay for their crimes. There are a number of other demon dogs I love, but I’ll save them for another post. If you want more information, I do recommend Conway’s book. It is so interesting that I frequently have to roam around my house looking to see which of my children has stolen it from my office.